Ira Losco is the kind of artist who gets noticed the minute she walks into a room. Whether on stage, TV or in a recording studio she captivates you. Losco's magnetic charisma, undoubtedly elevates her presence in her pop genre of music. Releasing four number 1 albums (including unplugged/remix editions), a string of chart topping singles, with over 20 music awards under her belt ranging from "Image Icon", "Best Artist", "Best Album" as well as the Prestigious Medal for her outstanding national and international achievement presented by the President of Malta, Ira Losco has been Malta's leading female artist for the last decade, making her one of the most recognizable faces in her home territory. Ira Losco was born on the 31 July 1981. Ira received her basic school education at Sacred Heart and completed a bachelors degree in Communication and Psychology. Ira's interest in music goes back to her childhood. She started her career by taking part in a number of performances at the schools she attended, Sacred Heart and St. Aloysius. Since 1997 Ira also performed with local alternative band, called Tiara, giving shows in various places including hotels and clubs. Tiara have released an album, "Hi-Infidelity" in 2001, before disbanding in 2002. Losco introduced herself to the local music scene as solo singer when she participated in the "Festival Kanzunetta ghaz-Zghazagh" 1999. In this same year, Ira took part in the "Festival Internazzjonali Kanzunetta Maltija" placing 5th with her song "Thallinix" by Ray Agius and was awarded the FIDOF award for the most promising singer. Her next obvious step was participation in the national Eurovision preselection - the "Malta Song for Europe 2000". Taking part for the first time, she made it to the finals with two songs: "Shine" by Philip Vella and Gerald James Borg which placed 6th and "Falling in Love" by Ray Agius which placed 7th. This marked the beginning of her success and her name became familiar and she was already considered one of the established and leading local singers. Another huge success for Ira was the musical "Rita ta' Cascia", in which she played the leading role. Next year she increased her success, with four of her songs qualifying to "Malta Song For Europe" competition, placed 11th with "We'll Ride the Wind" by Domnic and Doreen Galea, 8th with "Deep Inside my Heart" by Paul Zammit Cutajar and Ira Losco, 4th with "Don't Give Up" by Ray Aguis and 2nd with "Spellbound" by Gerard James Borg and Philip Vella. Success at the Eurovision preselection opened even more doors to Ira, she became the face of various adverts, hosted different events and competitions, appeared in a whole variety of TV programming. In July, she took part in the International Music Festival held in Serbia, with her song Spellbound placing 10th among 43 contestants. In 2002 Ira again qualified to "Malta Song For Europe" with two entries, and even in danger of them splitting the vote decided to perform both in the show. "One Step Away" by Ray Agius and Philip Vella finished 3rd, with "7th Wonder" by Philip Vella, Gerard James Borg brought Ira long awaited victory in the competition. "7th Wonder" proceeded to compete in the Eurovision Song Contest 2002, receiving 164 points, placing 2nd of 24 acts, bringing the Malta's best Eurovision placement. With her memorable and confident performance, at just 12 points away from the title, Ira Losco has stolen the hearts of the country she was born and raised in and thereafter started to build on her fan base across Europe. After her huge success on the Eurovision stage, in 2003, Ira Losco was asked to perform a song called "Reaching Higher" which was the official anthem for the 2003 Games of the Small States of Europe. 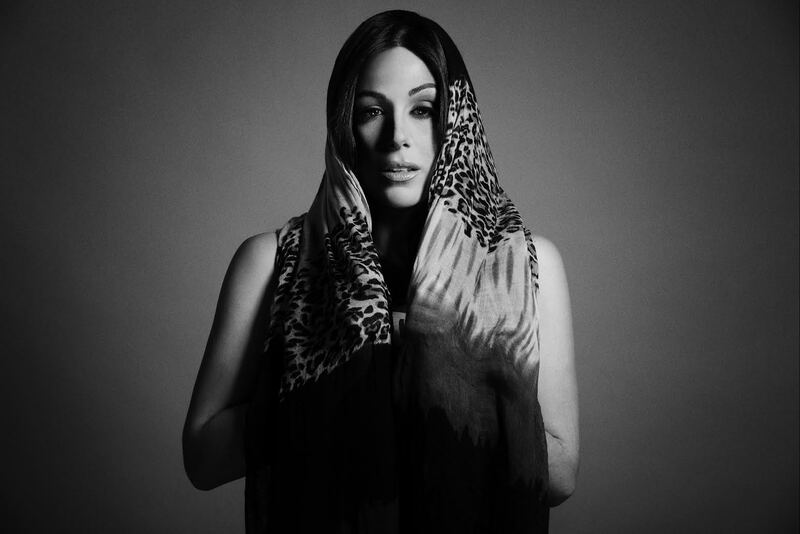 In February 2004, Ira Losco released her first E.P called "Love Me or Hate Me/Who I Am" and the following April, her first debut album "Someone Else" was released. The album was quickly recognized by international songwriters and single "Love me or Hate Me" became a dancefloor hit which was remixed by Mark u-Bahn and Dj Ruby. Towards the end of June 2004, Ira launched her music video for "I'm In Love Again". During the first month of 2005, Ira released her remix album called "Blends and Remixes of Someone Else". Several tracks were remixed by popular Maltese DJs which became dance hits. Later during the same year, she presented her second album "Accident Prone". This album has confirmed Ira Losco as one of the hottest exports of Malta especially after successfully finishing her German Tour and making a name for her in international territory. "Accident Prone" included 12 tracks and also saw the release of Lisa Miskovsky's song "Driving One Of your Cars" which had been originally released in Sweden. This song eventually was a huge hit on the Maltese islands and also won a BMA award for Best Song of the year. 2006 was marked for release of the acoustic album "Unmasked", which presented a mix of acoustic versions of her previous singles and also 3 international cover versions of "Time after Time", "Bedsitter" and "Lovesong". During December 2007, Ira released her first DVD "Living It…" - a documentary that included memorable live performances both local and foreign, international collaboration videos, and backstage scenes before concerts, interviews and snippets of the new songs. Third album of Losco "Fortune Teller", in which she had returned to the rock sound, was released in June 2008. Another remix album "Mixed Beats" which included remixed songs from previous three albums, was released in Summer 2009. She also has released a Photographic Journal by award wining UK photographer Allen Venables which is a 400 page book with images from performances and campaign photo-shoots. In the summer of 2012, Ira returned with the Summer hit "What I'd Give", which with its reggae pop sound, helped her to scoop up an award for "Best Single" and "Best Video", yet another "Best Artist" award. Ira Losco's latest body of work "The Fire", released in 2013, is her best selling album to date. Her 4th studio album topped the iTunes Malta charts for 11 consecutive weeks, followed by Adele and Coldplay. "The Fire" is also being featured internationally and gaining some very valid reviews. Another track from it "The Person I Am" maintained the number 1 spot for 6 consecutive weeks. Losco also co-hoted Maltese national Eurovision preselection in 2014. Ira has performed in 15 different countries around the world, in front of audiences ranging from 1,000 to 80,000, played alongside renowned international acts such as Elton John, Katie Melua, Maroon 5, Akon, Mel C, Ronan Keating, Bob Geldof, Tokio Hotel, Gigi D'Alessio, Claudio Baglioni, Max Gazze, Sohne Mannheims, Silbermond, Duran Duran, Enrique Iglesias and many more. Her songs have also been covered by a number of artists. Kelly Clarkson's international Hit "Don't waste my time" was created around Ira Losco's past release – "Uh Oh" through a publishing agreement. She is also active in promoting anti-bullying and has recently been made reading ambassador. She also forms part of the "Celebrity For Kids" project. Ira Losco is also a speaker for Self-Empowerment and Self-Worth, having voluntarily visited more than 30 schools, giving talks and performing for students, also high-lighting the importance of women's valid and precious contribution to society. 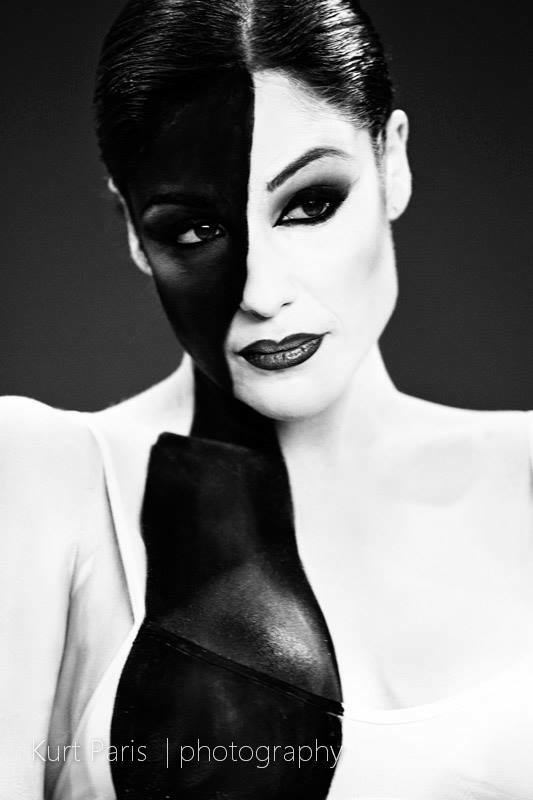 Ira Losco is also part of the animal awareness against Animals in Circuses and has also featured in nation wide TV Spots against animal cruelty. She has been an avid supporter of the YMCA (an organization caring for the homeless) ever since her fronting her first alternative band TIARA, at the young age of 16. She earned the respect of fellow humanitarian Bob Geldof when invited to his home in London prior to a concert they were both headlining. She is also a firm believer in LGBT Rights and has been praised for her fearless comments during hot debates in her country regarding this issue. She continues to support the "Malta Gay Rights Movement" till this very day. Ira Losco won Malta Eurovision 2016 with Chameleon (Invincible) co-written by her with her producer Talkback (Howard K. Debono) and is currently working on the new album due to be released this year. "Chameleon" is a mix of both electronic and organic sounding. It is kind of mysterious, starts off dark and moody, which then opens up in the chorus and further opens up when the dance beat kicks in. There's a lot of peaks and drops in the song which would work very well for a TV show. The song is about how us humans we adapt to the changes in our surroundings". Since the regulations of Malta Eurosong allowed winning artist to make changes in or even completely replace the song, ever since Ira Losco's victory at the show her team has been hesitant to confirm which entry she will perform at the international contest. On 30 January speaking on "Ghandi xi Nghid" radio program the singer has stated possibility that special vote will be organized to select Eurovision entry from several options proposed by her team. As from 21 February ten shortlisted songs (8 new and 2 versions of Chameleon) were judged by an international jury from ten countries together with numerous local experts. "Walk on Water", as the overwhelming favourite of international and Maltese jury voting during February and March was announced as Maltese entry on 14 March 2016. The song has been written by Swedish singer/songwriter Molly Pettersson Hammar along with Lisa Desmond, Tim Larsson and Tobias Lundgren. Lisa has written both Molly Pettersson Hammar Melodifestivalen entries, while Tim and Tobias had written several contributions to the Melodifestivalen, this year of Boris René. It will be presented as part of TVM's evening news broadcast at 20:00 on Thursday 17 March. On Friday 18 March, Ira will be part of Xarabank to present the new song. The video for Ira's new song was filmed on the second week of March at the Malta National Aquarium, and across several locations in Gozo. "It’s a fantastic international stage. I loved every minute of it last time, and know what an honour it is to be able to perform in front of 200 million people", says the singer. While Walk On Water is completely different to Ira's 2002 Eurovision entry, she is sure that the song has an amazing energy and that one can dance your socks off to it. A question that was on everyone's lips is if Ira Losco will use the option allowed by Malta Eurovision regulations to replace the song she won competition with for the Eurovision Song Contest. Speaking at her first interview after winning the national show she says: "I'm not really sure as yet, as I was part of the songwriting and production with Howard. It has to be something which will bring it to the better. If the song still gives us a feeling as strong and amazing than we will go with that, but if it can be changed to the better, then...". PBS CEO Anton Attard speaking at the press-conference adds: "Chameleon" is a great song, and we're not saying we're going to change it. We will sit down with the composer and the artist and challenge it, we will take a step back and see from the distance and ask ourselves, what is the best option, as our aim is to do as good as possible at the Eurovision. But we will not be making changes just for the change sake". Check also the interview with Ira Losco our team has recorded shortly before the Malta Eurovision semifinal. Maltese Eurovision 2016 representative Ira Losco yesterday began her intensive week of rehearsals before heading to Stockholm this weekend. Creative Director Stephane Boko is leading the rehearsals of the on-stage performance with Ira and her dancer, Skorpion. Boko has worked on music projects with Madonna and Celine Dion, plus with Cirque du Soleil Recently he also worked as the artistic director for the Opening and Closing Ceremonies FIFA U17 World Championships in Abu Dhabi, and the opening of the FIBA World Championships in Istanbul. Ira's backing singers are also in Malta for the rehearsals, although for Pamela Bezzina & Anna Azzopardi the journey wasn't so long. Swedes Molly Pettersson Hammar and Lars Säfsund however flew in to Malta on Sunday evening for the week's schedule. Lars Säfsund also is involved in Georgian and Cypriot performances this year. Australian stylist Alex Zabotto-Bentley, who is designing Ira's dress for Eurovision, arrives in Malta later this week. The dress for the stage performance has been the subject of many Skype conversations over the past couple of months since Alex returned home after being in Malta for the shooting of the preview video. The costume itself however is currently in Stockholm, with SVT using it for the stand-in rehearsals currently taking place at the Globe Arena. Zabotto is a style expert for Australia's Next Top Model, and has also worked with Prince, Kylie Minogue, and Lady Gaga. "I'm really happy and excited now that everything is coming together," says Ira. "I did the preview events alone on stage so it's great now to finally be together with everyone else who will be part of the performance in Stockholm. Obviously you plan how everything will work and look, but now finally seeing things for real gets you focussed on making sure the three-minute performance is as good as it can be"
The Maltese delegation will leave the Mediterranean island on Sunday afternoon ahead of the first rehearsal in Stockholm on 3 May. Acts from three participating countries in this year's Eurovision Song Contest will join Ira Losco at the Aria Complex this weekend for the 'Malta Eurovision Party'. Gabriela Gunčíková, Hovi Star, and Sanja Vučić ZAA will all be in Malta to perform their entries for Stockholm as part of the event, to which doors open at 21:00 on Saturday evening. Free invitations can still be collected from all Maltco outlets, while VIP tickets are on sale here. The Malta Eurovision Party will also feature performances from Junior Eurovision winner Destiny Chukunyere, and last year's representative Amber. On Friday, Ira, Gabriela, Hovi, and Sanja will also be guests on Xarabank, together with Samra from Azerbaijan. Ira Losco is on the final weekend of her promotion tour before this year’s Eurovision Song Contest. Having already visited Riga, Moscow, Yerevan, and Amsterdam, Ira has two final performances this weekend. Tonight, she will perform “Walk on Water” live on television in the Czech Republic as part of the "Kure Pomozte detem" show. The performance will be at around 22:35, live on national channel ČT1. On Sunday, Ira and team travel to the UK to take part in the London Eurovision Party – however Ira won’t be the only Maltese singer taking part at the event on Leicester Square. Junior Eurovision winner Destiny Chukunyere will also be part of the event, with the two singers preparing something special for the Cafe de Paris crowd. Ira Losco (representing Malta in Eurovision 2016) visited Iveta Mukuchyan in Armenia. After meeting Iveta during the Eurovision pre-party in Moscow, Ira decided to visit Armenia to learn more about the country – its people, culture and traditions. During her stay in Armenia, Ira visited some of most iconic places in the country, like ancient monastery "Geghard", "Garni" temple and the major sightseeings of Yerevan. "I was so excited to see Ira in Armenia. We first met each other during the pre-party in Moscow and have been good friends ever since. She's such an amazing person. Beautiful, talented, strong. I truly admire her and the work she's doing as an artist. It was so much fun to chill with Ira and share with her my country's culture and traditions" - says Iveta. The exclusive diary episode, featuring Ira and Iveta will premiere this Sunday via AMPTV and Iveta's official YouTube channel. As part of her promotional tour a fortnight ago to Riga, Moscow, and Yerevan, Ira Losco was a guest of Armenia’s popular morning show ‘Aravot Luso’ (early morning) where she recorded an interview. On 15 April, the interview went out on the first national channel (watch from 1:14:00)and Ira presented the moderator with a photobook of Malta as a thank you for their kind invitation. Ira spoke about her Eurovision entry, “Walk on Water”, and also about her trip to Armenia and being very pleased to meet Armenia’s representative in Eurovision 2016, Iveta Mukuchyan, who was a wonderful tour guide during the visits around the country. Earlier this week, single for "Walk on Water" has already been released by Universal Music as part of the deal with countries that have no own contract with publishers, but it seems to be getting rerelease at the Warner Sweden. 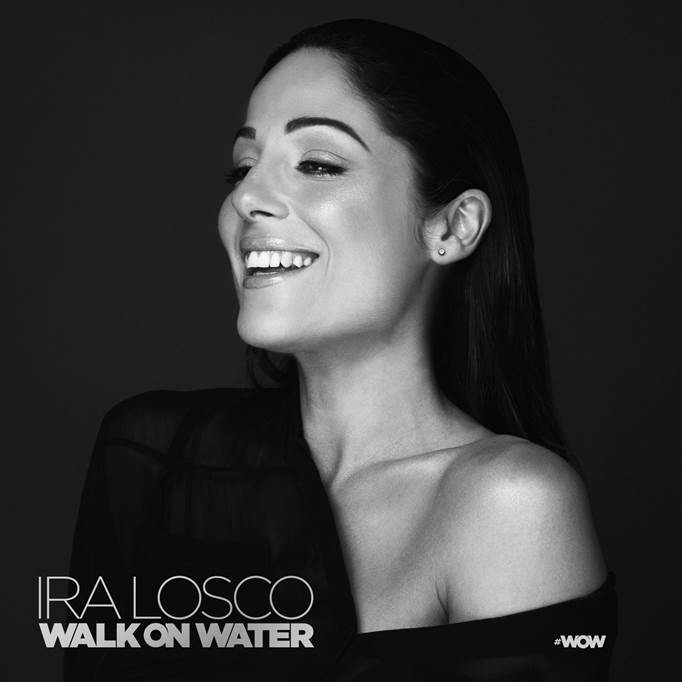 Following discussions with three international record labels, PBS Malta are pleased to announce that Ira Losco's Eurovision entry "Walk on Water" will be released internationally by Warner Music Sweden. It will be realised on iTunes, Spotify, and other digital portals through Warner on 8 April. Warner Music Sweden are no strangers to the Eurovision Song Contest, having been the record label for both Loreen and Mans when they won the competition in 2012 and 2015 respectively. "Walk on Water" will be the only song taking part in this year's contest that is being released by Warner Sweden. "We are thrilled to be releasing Ira's song worldwide," said Robert Skowronski, A&R and Product Manager at Warner Music Sweden. "Ira is an exceptional singer, and we think this is a very strong song not only for Eurovision but also for commercial release. We look forward to working with her over the next months, and of course to her visiting Stockholm for Eurovision itself." CEO of PBS Malta Anton Attard added "Ira is one of Malta's best-known artists, and to have a major label like Warner Sweden on board for our entry opens a lot of doors for us internationally as we prepare for Eurovision. For them to choose our song as their only act in the competition is something we're very proud of." "Walk on Water" was premiered on 17 March and already has almost 850,000 views on YouTube since its launch. This weekend Ira will be taking part in the Riga and Moscow preview events, before heading to Yerevan to meet Iveta. 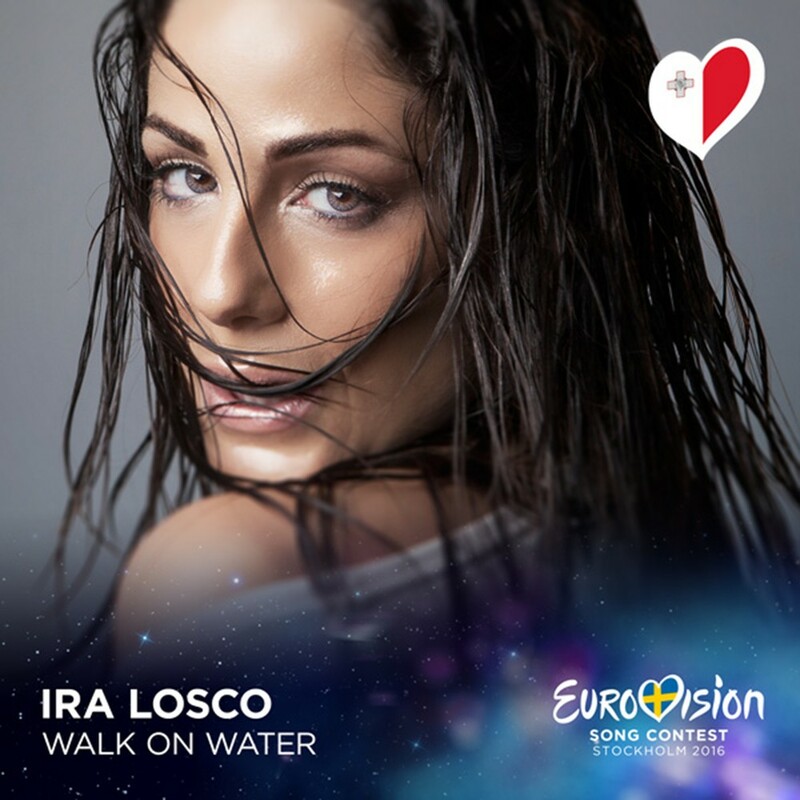 With Ira Losco on the Eurovision stage in Stockholm will be appearing French dancer Skorpion who was already featured in the music video of the song Walk on Water. It has been revealed today by PBS on the official site Facebook Malta Eurovision. The French dancer of international fame has accompanied singers like Kylie Minogue, Madonna and Taylor Swift. In 2009 was one of the finalists of France's Got Talent. PBS is currently working together with the management of Ira ​​and with Ira herself on development of the stage presentation of the Maltese entry. In her first comments about her new song, singer Ira Losco, who will represent Malta in the 61st edition of the Eurovision Song Contest, with Walk on Water, said she is very happy with the final product. Speaking to tvm.com.mt, Ira said that the process involved a lot of hard work, which was very important. She described the song Walk on Water as very up-to-date modern and a song which will compete well with the other 42 songs. Ira said she would keep her feet on the ground as it will be those three minutes on stage which will make all the difference. The Maltese song will be representing the country in Stockholm in May, and Ira urged the Maltese public to give their support because she said this fills her with courage. In an interview with Times of Malta Ira Losco said she is happier with her new Eurovision song Walk on Water. Ms Losco said she strongly believed in the new tune, which she described as "more current". "This song reflects my personality and I feel very comfortable with it. And that's very important. I believe in this song. It's important to have everyone's support," Ms Losco said. A contemporary tune with drum and bass undertones, the song Walk on Water will be officially released this evening. PBS CEO Anton Attard said the feedback received so far had shown that Walk on Water is a "much better" song than Chameleon, which won the Malta festival. "It was the obvious winner. It's a contemporary tune and today the Eurovision contest is aligning itself with the industry," Mr Attard said. He explained that unlike other countries, Malta does not have a base of votes, unlike countries like Russia. "But I believe if we have a strong song we will do better.". The decision to drop the Malta Eurovision winning song Chameleon in favour of as-yet-unheard number Walk on Water has sparked controversy among Eurovision enthusiasts, who claim this year's contest was a "sham", reports Times of Malta. While the only detail available so far was the song's name, many fans of the contest have taken to social media complaining about the unprecedented turn of events. Disgruntled fans who voted for the winning song said that, in light of the latest decision, the contest held in January was nothing but a "sham" and they had voted for Chameleon as they believed it had the necessary qualities to make it to the top spot. Others lambasted the decision, claiming they would not have spent money on voting if they had known this would only contribute to choosing the singer. Some even called on PBS to refund the money paid for televoting, saying they would not vote in the future. Another issue irking enthusiasts was that they were not able to hear any of the other songs and that the selection process had not been disclosed to the public. In a Facebook post following Monday's announcement, Ms Losco's manager, Howard Keith Debono, acknowledged the negative criticism surrounding the PBS decision and said it would "take time to change a mind set which is used to doing things one way". "I'm glad that we took on the challenge that the rules permitted us and that many other countries have also taken up," Mr Debono wrote. PBS chief executive Anton Attard stated: "PBS has adopted a procedure which is in line with both the local and EBU festival regulations. The process was very intensive, involving local and foreign juries and music professionals. Local singers were advised about this process, and it has also been an integral part of the festival regulations for the last couple of years". Ira Losco will present her new Eurovision entry on 17 March. The entry title is abbreviated as WOW, and allegedly may be titled Walk on Water. At this moment TVM crew is filming music video on it, and in recent days also shooting of the postcards of the entrant was completed. Ira Losco, her manager and PBS are in intense activity to find the right song for the Eurovision Song Contest which needs to be presented within three weeks. tvm.com.mt has been told that Ira Losco has been working day and night to record several new songs as well as a revamped version of ‘Chameleon'. As from tomorrow ten shortlisted songs (8 new and 2 versions of Chameleon) will be judged by an international jury from ten countries together with numerous local experts. A similar process is used by several countries participating in Eurovision. A spokesperson for PBS said the final result would be announced at the end of this process. This method is being used to ensure that Malta has the best sound in this prestigious festival. Last week, EBU Executive Supervisor Jon Ola Sand, who has visited Malta, confirmed that TVM can tweak or indeed completely change the song that Ira Losco will present. Public Broadcasting Services Limited was selecting Maltese entrant for Eurovision 2016 through Malta Eurovision Song Contest 2016 national preselection, which was held on 22 and 23 January in Mediterranean Conference Center. Tickets for the show were available here. All artists participating in lead role must be of Maltese nationality or hold dual citizenship, one of which Maltese. Authors and composers may be of any nationality. Last year's winning artist may not participate as a performer in the Contest. Submissions were accepted on 29th and 30th October 2015. In addition to the original song, artists needed to submit a recording of another song, which can be a cover version, or a song that has already been published. Maltese broadcaster PBS has received 153 submissions for the participation in the festival, which is 19 more than the last year. The shortlist of 49 entries has been revealed on 3 December. 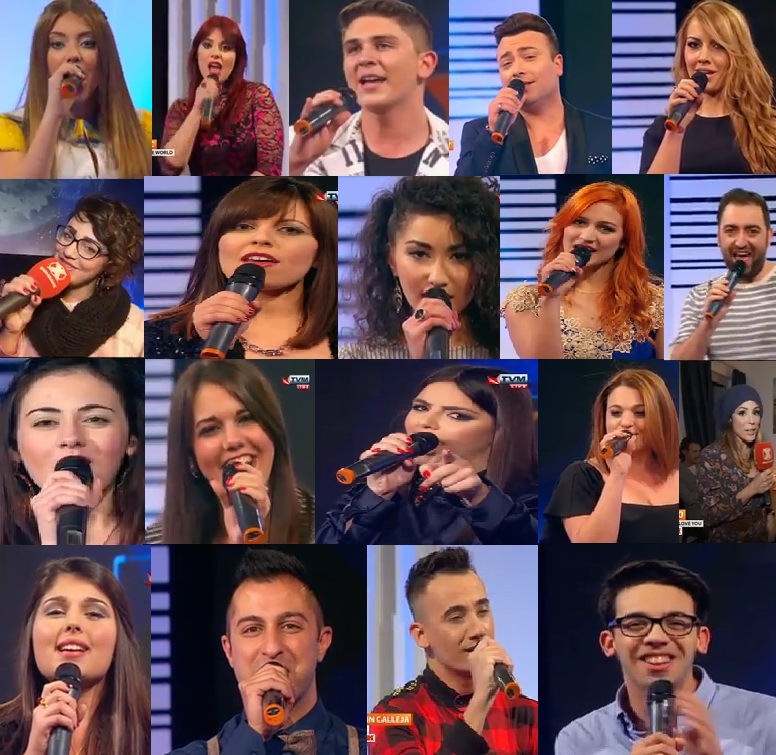 Twenty songs chosen for the televised preselection were announced on 11 December 2015 in Xarabank show (starting at 20:50 CET, online). Watch 1 minute excerpts of the songs here. Complete competing entries have been published on 24 December, and are available here. 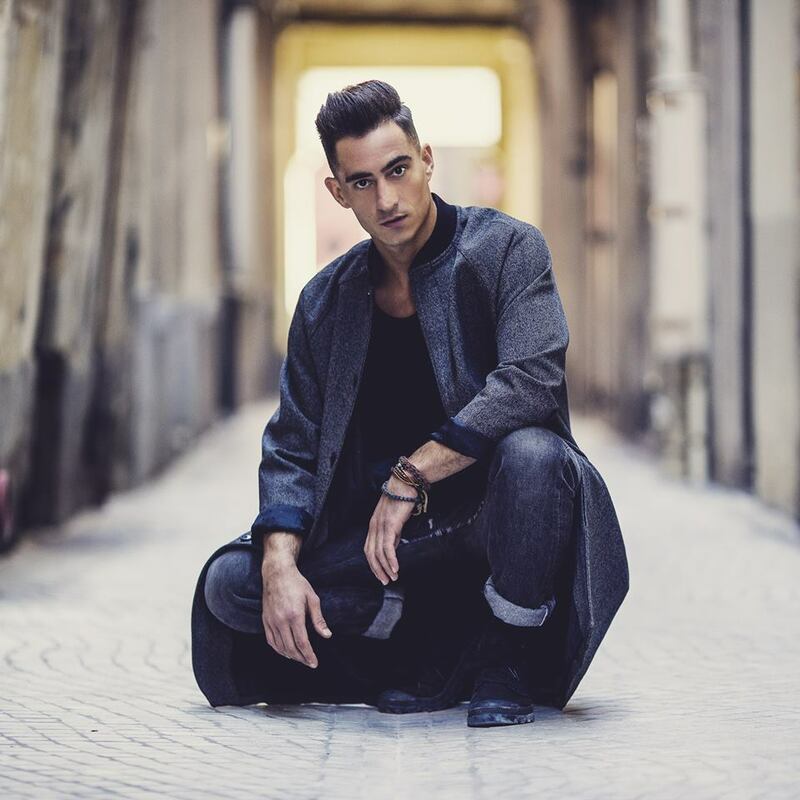 Of 20 competing entries six have been co-written by Muxu and four by Elton Zarb, the team behind Maltese entry in 2015 and Junior Eurovision entries 2013-2015. Gerard James Borg and Philip Vella (team behind Maltese entries 2000, 2002, 2004, 2007 and 2008) have provided only one and two entries respectively. Eight entries have been written by foreign composers, of them three co-written by Jonas Gladnikoff (Ireland 2009, 2010, 2014, JESC 2015), and two by Persson sisters. Regulations for the competition allowed, just like in last year, the artist, author and composer of the winning entry to change parts of the winning song or the entire song for the Eurovision Song Contest. Artists were allowed to interpret two different songs during Semifinal show. The running order of the semifinal was announced on 13 January. The artists were to perform live with backing vocals in the national contest. Technical rehearsals took place on 18-19 January. Each act spent just over an hour and a half at the venue to set up and test the in-ear monitors and to carry out the technical rehearsals on stage to ensure the light, sound, graphics and the whole show is of optimum quality. Afterwards, the artists proceeded to the viewing room to see how their act looks on TV and to suggest changes and improvements. During this time, the artists also selected a short part of their song to be used for the recap when the televoting lines are open. Rehearsals continue on 20 January throughout the day for all the twenty acts. Watch TVM videos by Luke Borg: Raquel, Domenique, Dario, Daniel Testa, Jasmine, Stefan Galea, Brooke, Kim, Sarah Crystal, Danica Muscat, Dominic, Lawrence Gray, Maxine, Deborah C, Ira Losco - Chameleon, Corazon, Ira Losco - That's Why I Love You, Franklin, Jessica, Christabelle. Rehearsals of the opening and interval acts took place on Thursday morning. These were followed by a full dress rehearsal at 18.00. 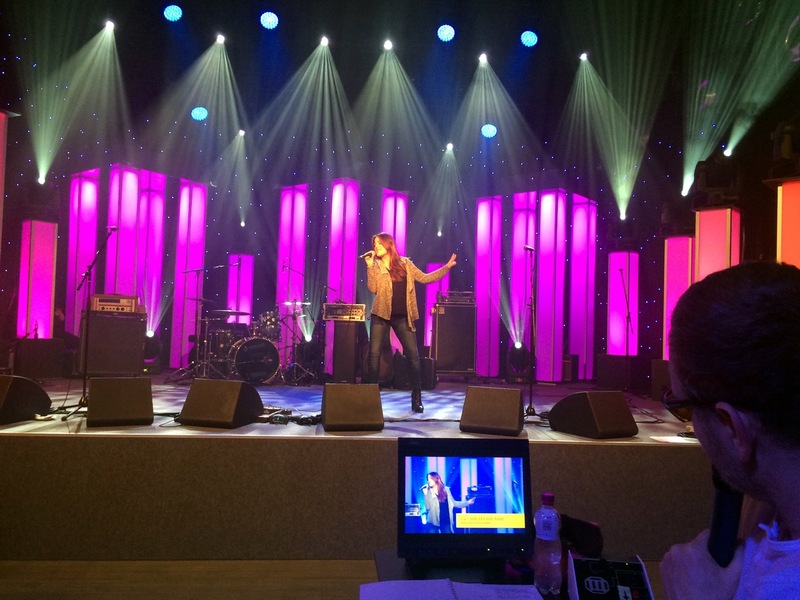 A run through of the semi-final took place on Friday morning at 10.00 and the live performance kicked off at 20:45. Amber, the winner of the 2015 Malta Eurovision opened the contest on Friday evening with her winning song Warrior. The local pop rock-indie band The Crowns and the sister duo Bettina and Philippa from The New Victorians together with their band performed during the interval on Friday. Fourteen acts made it to the final and then artists were allowed to interpret only one song. Result of the preselection shows was decided by the panel of Judges that was made up of six persons: Nick Clark-Lowes, Viara Ankova (BNT, Bulgaria), Sabrija Vulic (RTCG, Montenegro), Luke Fisher and Quinton Scerri (Jury Chairman) and televoting which represented the vote of a seventh judge. The winners were revealed in random order at the end of the night. A running order for the final show was published late at night. The final run through took place on 23 January morning at 10:00 and the live performance of the national final started at 20:45. It was possible to watch the semi-final and the final live on TVM and online. 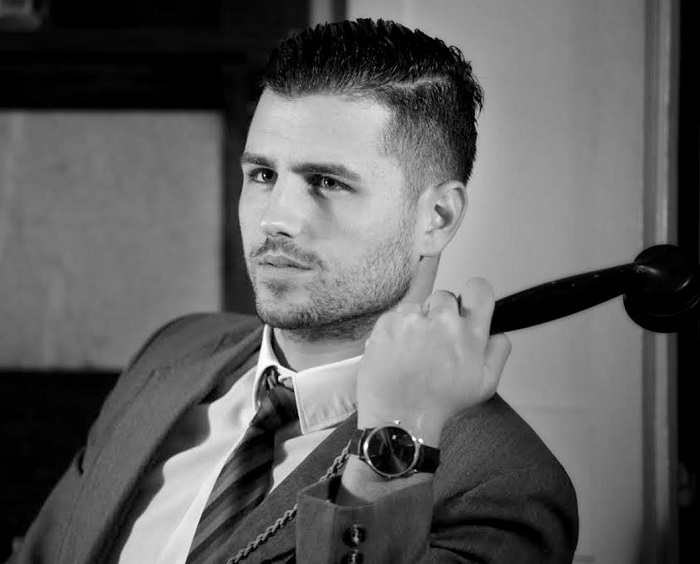 Actor and model Ben Camille, known for TV series "Strada" has been chosen to present the Malta Song for Europe 2016. The Maltese Queen of Soul and winner of the 2015 Junior Eurovision Song Contest, Destiny Chukunyere opened the final on Saturday night. She also performed a number of cover versions during the interval. Amber together with her dance troupe Southville Dancers, returned to entertain the crowd with her latest pop jazz songs from her upcoming debut album. A special prize was awarded to the winner of online voting, while users taking part could also win 1000 euro voucher from Hamilton Travel. 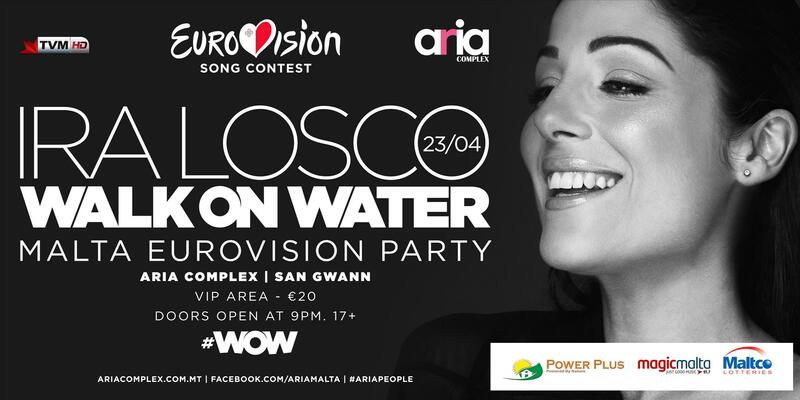 The #MaltaEurovision final was followed by an after party at Aria Complex in San Gwann. Follow ESCKAZ reports on our Youtube, Picasa and Instagram profiles. Ира Лоско представляет собой такой тип певицы, которую замечаешь в ту же секунду, когда она заходит в комнату. На сцене, на телевидении или в студии звукозаписи она завораживает окружающих. Магнетическая притягательность Лоско несомненно способствует ее успеху на музыкальном Олимпе. Выпустив четыре альбома, ставшие лидерами чартов (включая акустические и ремиксовые альбомы), серию чартовых хит-синглов, завоевав свыше 20 премий, таких как "Икона стиля", "Лучшая певица", "Лучший альбом", а также престижную медаль за выдающиеся национальные и международные достижения от президента Мальты, Ира Лоско является самой известной исполнительницей этой страны последнего десятилетия, и одной из самых узнаваемых фигур в своей родной стране. Ира Лоско родилась 31го июля 1981 года и получила начальное школьное образование в Sacred Heart, а затем высшее образование на отделении Психологии и коммуникаций. Интерес Иры к музыке зародился еще в раннем детстве. Она начала свою карьеру выступая на различных выступлениях в школах, которые она посещала - Sacred Heart и St. Aloysius. С 1997 года Лоско также выступала в составе местной альтернативной рок группы Tiara, дав серию выступлений в различных клубах и отелях. Tiara выпустили альбом "Hi-Infidelity" в 2001 году и прекратили свое существование в 2002. Лоско представила себя на местной музыкальной сцене как соло исполнительница с участием в "Festival Kanzunetta ghaz-Zghazagh" 1999. В том же году она приняла участие и в "Festival Internazzjonali Kanzunetta Maltija", где заняла 5е место с песней "Thallinix" Рэя Аджиуса и получила премию FIDOF как самая многообещающая исполнительница. Очевидным следующим шагом стало участие в национальном отборе на Евровидение - "Malta Song for Europe 2000". Принимая участие в нем впервые, Лоско вышла в финал с двумя песнями: "Shine" Филиппа Велла и Джерарда Джеймса Борга заняла 6е место, а "Falling in Love" Рэя Аджиуса стала 7й. Участие в фестивале стало первым шагом исполнительницы на пути к успеху, сделав ее имя известным по всей стране, и внеся ее в число наиболее популярных местных исполнительниц. Еще одним большим успехом Иры стало участие в мюзикле "Rita ta' Cascia", в котором она сыграла заглавную роль. В следующем году она еще более увеличила свой успех, пройдя в "Malta Song For Europe" с четырьмя песнями, заняв 11е место с "We'll Ride the Wind" Домника и Дорин Галеа, 8е место с "Deep Inside my Heart" Пола Заммита Кутаяра и самой Лоско, 4е с "Don't Give Up" Рэя Аджиуса и 2е с "Spellbound" Филиппа Велла и Джерарда Джеймса Борга. Успех на Евровидении открыл еще больше дверей для Иры, которая стала лицом различных рекламных кампаний, ведущей мероприятий и конкурсов, появившись в различных телепрограммах. В июле она приняла участие в международном музыкальном фестивале в Сербии, где со "Spellbound" заняла 10е место из 43 участников. В 2002 году Ира снова вышла в финал "Malta Song For Europe" с двумя песнями, и несмотря на очередные опасения о том, что они могут разделить голоса, решила исполнить обе из них на отборочном шоу. "One Step Away" Рэя Аджиуса и Филиппа Велла заняла третье место, а "7th Wonder" Филиппа Велла и Джерарда Джеймса Борга, наконец, принесла Ире долгожданную победу на конкурсе. "7th Wonder" приняла участие в международном финале Евровидения 2002, получив 164 балла, и заняв 2е место из 24 конкурсантов, принеся Мальте лучший ее результат в истории Евровидения. Благодаря этому запоминающемуся и уверенному выступлению, когда до победы ей не хватило всего 12 баллов, Ира Лоско окончательно завоевала сердца жителей своей родной страны и начала развивать фан-базу в других странах Европы. После большого успеха на сцене Евровидения, в 2003 году Лоско было предложено исполнить песню "Reaching Higher", ставшую официальнм гимном Игр Малых Государств Европы 2003 года. В феврале 2004 года Ира выпустила свой первый EP "Love Me or Hate Me/Who I Am", а в следующем апреле - дебютный альбом "Someone Else". Альбом быстро получил международную признательность, а сингл "Love me or Hate Me" в ремиксе Mark u-Bahn и Dj Ruby стал хитом танцполов. В конце 2004 года Лоско выпустила видеоклип на "I'm In Love Again". В январе 2005 года Ира выпустила ремикс-альбом "Blends and Remixes of Someone Else", на который вошли ремиксы треков прошлого альбома от популярных мальтийских диджеев, многие из которых стали танцевальными хитами. Позднее в том же году Лоско выпустила свой второй альбом "Accident Prone". Он закрепил Лоско в качестве одного из самых ярких экспортных артистов Мальты, которая с успехом завершила тур по Германии, и продолжила популяризировать свое имя на зарубежной территории. "Accident Prone" включал в себя 12 треков, включая кавер-версию песни Лизы Мисковски "Driving One Of your Cars". Песня стала большим хитом на Мальтийских островах, завоевав премию BMA как Лучшая песня года. 2006 год был отмечен релизом акустического альбома "Unmasked", в который вошли акустические версии прошлых синглов, а также трех международных хитов "Time after Time", "Bedsitter" и "Lovesong". В декабре 2007 года Ира выпустила свой первый DVD диск "Living It…" - документальный фильм, включающий в себя самые запоминающиеся выступления певицы как на местном, так и на зарубежном уровне, видеоклипы, закулисное видео, интервью и сэмплы новых треков. Третий альбом Лоско "Fortune Teller", в котором она вернулась к рок-звучанию, был выпущен в июне 2008 года. Еще один ремикс-альбом "Mixed Beats", в который вошли ремиксы на песни предыдущих трех альбомов, вышел в свет летом 2009 года. Она также выпустила фотоальбом, созданный известным британским фотографом Алленом Венейблсом, который представляет собой 400-страничную книгу с фотографиями с ее выступлений и фотосессий. Летом 2012 года Ира вернулась на сцену с летним хитом "What I'd Give", который своим рэгги поп звучанием помог Лоско завоевать призы за "Лучший сингл", "Лучший видеоклип", и еще одну премию "Лучшей исполнительнице". Самый свежий альбом "The Fire", выпущенный в 2013 году, стал ее самым продаваемым на сегодняшний день альбомо. Ее четвертый студийный альбом возглавлял мальтийские iTunes чарты на протяжении 11 недель подряд, обойдя таких исполнителей, как Adele и Coldplay. "The Fire" также приобрел международную популярность и собрал множество положительных отзывов критиков. Еще один трек из него "The Person I Am" занимал первое место на протяжении 6 недель подряд. Лоско также была соведущей национального отбора на Евровидение 2014. Ира выступала в 15 различных странах мира, перед зрительскими аудиториями от одной до восьмидясяти тысяч зрителей, на одной сцене с такими международными звездами как Элтон Джон, Кети Мелуа, Maroon 5, Akon, Mel C, Ронан Китинг, Боб Гелдоф, Tokio Hotel и многими другими. Ее песни также часто перепевались другими исполнителями. Так, международный хит Келли Кларксон "Don't waste my time" был создан на основе релиза Лоско "Uh Oh". Также певица активно принимает участие в социальных акциях и кампаниях, например являясь послом кампании всеобщей грамотности. Она также входит в проект "Звезды для детей". Ира Лоско является послом акций Самоутверждения и Самоуважения, посетив более 30 школ, читая лекции и выступая для школьников, а также подчеркивала важность вклада женщин в современное общество. Ира Лоско также поддерживает кампанию против использования животных в цирках и снималась в общенациональных рекламных роликов против жестокого обращения с животными. Она является сторонницей YMCA (Организации по уходу за бездомных) еще с того времени, как она выступала со свой альтернативной рок-группой Tiara в возрасте 16 лет. Она заработала уважение коллеги по гуманитарной деятельности Боба Гелдофа, который пригласил Иру к себе домой в Лондон перед концертом, на котором они оба выступали хедлайнерами. Она также твердо верит в права ЛГБТ и получила высокую оценку за свои комментарии при дискуссии в своей стране по этому вопросу. Она продолжает поддерживать "Движение за права геев Мальты" и по сегодняшний день. Ира Лоско одержала победу на Malta Eurovision 2016 с песней Chameleon (Invincible), которую она написала вместе со своим продюсером Talkback (Ховард Кейт Дебоно) и в настоящее время работает над новым альбомом, который будет выпущен в следующем году. "Chameleon" представляет собой смесь электронного звучания и звучания живых инструментов. Она немного таинственная, начинается довольно мрачно и угрюмо, и потом раскрывается в припеве, и еще более раскрывается, когда вводится танцевальный бит. В песне есть множество пиков и спадов, и мне кажется, что это прекрасно сработает в телешоу. Она рассказывает о том, как мы люди, адаптируемся к изменениям в нашем окружении". Поскольку правила Malta Eurosong позволяют артисту-победителю вносить изменения либо даже полностью заменить свою песню, с момента победы Иры Лоско на шоу, ее команда затруднялась подтвердить, какую песню певица исполнит на международном конкурсе. 30го января в радиопрограмме "Ghandi xi Nghid" она сообщила о том, что будет проведено дополнительное голосование, где будет предложено выбрать лучшую из нескольких вариантов песен, предложенных ее командой. С 21 февраля десять потенциальных песен (восемь совершенно новых и две новые версии Chameleon) оценивало международное жюри из десяти стран вместе с различными местными экспертами. "Walk on Water", подавляющий фаворит международного и мальтийского жюри в рамках прошедшего в феврале-марте голосования, официально была объявлена песней Мальты 14го марта 2016 года. Автором песни стала шведская певица и автор песен Молли Петтешшон Хаммар, вместе с Лисой Десмонд, Тимом Ларссоном и Тобиасом Люндгреном. Лиса была автором обеих песен Мелодифестивалена Молли, а Тим и Тобиас принимали участие в написании множества других песен шведского отбора, в том числе "Heartbreak Hotel", "Put Your Love On Me", "Las Vegas", "Alcastar", "Hur svårt kan det va?" и др. Песня будет представлена в рамках вечернего выпуска программы новостей телеканала TVM в 22:00 Москвы в четверг, 17 марта. В пятницу, 18 марта, Ира выступит с ней в программе Xarabank. Видеоклип на новую песню Иры был снят на второй неделе Мальты в Мальтийском национальном аквариуме, а также ряде мест острова Гозо. "Евровидение - это фантастическая международная сцена. Я получила удовольствие от каждой минуты ее в прошлый раз, и знаю, какая это большая честь выступать перед 200 миллионами зрителей", говорит исполнительница. Хотя Walk On Water песня, совершенно отличающаяся от прошлой конкурсной песни Иры 2002 году, она уверена, что Walk on Water обладает потрясающей энергией и под нее можно танцевать до упаду. Вопрос, который был у всех на устах - воспользуется ли Ира Лоско новым правилом Malta Eurovision, заменить свою песню-победительницу национального отбора перед Евровидением на другую композицию. В своем первом интервью, которое певица дала после национального финала, она говорит: "Я пока еще не уверена, поскольку я являюсь соавтором победившей песни вместе с Ховардом. Должно быть что-то, что приведет нас к наилучшему результату. Если песня все еще будет давать нам ощущение как сильная и потрясающая, то мы продолжим выступать с ней, но если можно будет изменить ее к лучшему, то...". Генеральный директор телеканала PBS Антон Аттард выступая на пресс-конференции добавляет: "Chameleon" - прекрасная песня, и пока мы не говорим о том, что собираемся заменить ее. Мы должны сесть вместе с композитором и исполнительницей и бросить ей определенный вызов, отойти на некоторое расстояние и спросить самих себя, является ли она лучшим вариантом, ведь наша цель - добиться наилучшего возможного результата на Евровидении. Но мы не будем производить изменений только ради изменений". Также вы можете посмотреть интервью, которое Ира Лоско дала нашей команде незадолго до полуфинала национального отбора Malta Eurovision. Представительница Мальты Ира Лоско вчера приступила к интенсивной неделе репетиций своего конкурсного номера. Креативный директор номер Стефан Боко руководит репетициями Иры и ее танцора Скорпиона. Боко работал над музыкальными проектами вместе с такими артистами как Мадонна и Селин Дион, а также Cirque du Soleil. Недавно он также был артистическим директором церемоний открытия и закрытия Чемпионата Мира по Футболу в возрасте до 17 лет в Абу-Даби, а также Чемпионата Мира по Баскетболу в Стамбуле. Бэк-вокалисты Иры также собрались в Мальте для репетиций, хотя для Памелы Беццины и Анны Аццопарди поездка была не столь далекой. Шведы Ларс Сэфсунд и Молли Петтершон-Хаммар прилетели на Мальту в воскресенье и проведут там неделю. Ларс Сэфсунд также принимает участие в этом году в номерах Грузии и Кипра. Австралийский стилист Алекс Заботто-Бентли, который работает над номером Иры для Евровидения, прибывает на Мальту на этой неделе. Платье для сценического выступления было вопросом переговоров по Skype на протяжении нескольких последних месяцев, после того, как Алекс вернулся домой со съемок видеоклипа с Ирой. Сам костюм, правда, в настоящее время находится в Стокгольме, где SVT использует его для выступлений дублеров в Globe Arena. Заботто является экспертом по стилю программы Australia's Next Top Model, а также работал с Принсом, Кайли Миноуг и Леди Гагой. "Я невероятно рада тому, как все детали паззла собираются воедино", говорит Ира. "Я выступала на промо-мероприятиях одна на сцене, и теперь очень рада, тому, что со мной, наконец, рядом все те, кто будет выступать в Стокгольме. Конечно, можно заранее распланировать, как все будет работать и выглядеть, но, когда ты видишь это вживую, ты по-настоящему фокусируешься на том, чтобы сделать эти три минуты настолько хорошими, насколько это только возможно"
Мальтийская делегация покинет свой средиземноморский остров в воскресенье вечером и отправится в Стокгольм, где первая их репетиция пройдет 3го мая. Ира Лоско, Габриела Гунчикова, Хови Стар, и Санья Вучич ZAA примут в эту субботу участие в Мальтийской вечеринке Евровидения, которая пройдет в Aria Complex. Бесплатные приглашения на нее можно получить в точках Maltco, а VIP билеты приобрести здесь. Также на вечеринке выступят победительница Детского Евровидения Дестини Чукуньере и прошлогодняя участница взрослого Евровидения Амбер. В пятницу Ира, Габриела, Хови и Санья, а также Самра из Азербайджана примут участие в ток-шоу Xarabank на Мальтийском ТВ. Ира Лоско завершает свой промотур. Посетив Ригу, Москву, Ереван и Амстердам на этих выходных она отправится в Чехию и Великобританию. Сегодня вечером она исполнит "Walk on Water" в прямом эфире благотворительного концерта "Kure Pomozte detem". Выступление выйдет в эфир примерно в 22:35 местного времени в прямом эфире национального вещателя ČT1. В воскресенье Ира и ее команда отправятся в Великобританию для того, чтобы выступить на Лондонской Вечеринке Евровидения. Ира будет не единственной представительницей Мальты на ней. В шоу выступит также победительница Детского Евровидения Дестини Чукуньере, и обе исполнительницы готовят сюрпризы для посетителей Cafe de Paris. Представительница Мальты на Евровидении 2016 посетила Ивету Мукучян в Армении. После встречи с Иветой на вечеринке Евровидения в Москве, Ира решила побывать в Армении, чтобы узнать больше об этой стране - ее жителях, культуре и традициях. Во время ее пребывания в Армении, Ира побывала в наиболее известных местах страны, таких как древний монастырь "Гегард", храм "Гарни" и достопримечательностях Еревана. "Я была очень рада видеть Иру в Армении. Мы познакомились на вечеринке в Москве и немедленно подружились. Она - прекрасный человек. Красивая, талантливая, сильная. Я восхищаюсь ей и той работой, которую она делает как артистка. Было очень приятно отдыхать с Ирй и делиться с ней культурой и традициями своей страны", говорит Ивета. Эксклюзивный выпуск дневника Евровидения, рассказывающий о Ире и Ивете выйдет в эфир в воскресенье на телеканале AMPTV и официальном Ютуб канале Иветы. В рамках промо-тура, охватившего Ригу, Москву и Ереван, Ира Лоско стала гостьей популярного утреннего шоу Армении "Аравот Лусо", где записала интервью. 15го апреля интервью вышло в эфир первого национального канала (смотреть с 1:14:00), и Ира подарила ведущим программы фотокнигу о Мальте в знак благодарности за приглашение. Ира рассказала о своей конкурсной песне "Walk on Water", а также о своей поездке в Армению и встрече с представительницей этой страны на конкурсе Иветой Мукучян, которая стала замечательным тур-гидом для гостьи из Мальты. Ранее на этой неделе сингл на песню "Walk on Water" был выпущен лейблом Universal Music Дания, в рамках выпуска серии синглов тех стран, чьи артисты не имеют собственных контрактов с издателями. Теперь планируется перевыпустить его на Warner Швеция. После переговоров с тремя крупнейшими международными лейблами, телеканал PBS Мальта объявил о том, что песня Иры Лоско "Walk on Water" будет выпущена на международном уровне лейблом Warner Music Швеция. Она станет доступна в релизе от Warner на iTunes, Spotify и других цифровых платформах 8го апреля. Компания Warner Music Швеция - не новички на конкурсе Евровидение, поскольку именно они являлись лейблом победителей конкурса 2012 и 2015 Лорен и Монса Зельмерлева. "Walk on Water" - единственная песня, принимающая участие в конкурсе этого года, которая будет выпущена Warner Швеция. "Мы невероятно рады возможности выпустить песню Иры," говорит Роберт Сковронски, продукт-менеджер компании Warner Music Швеция. "Ира - исключительная певица, и мы думаем, что это - очень сильная песня не только для Евровидения, но и просто для коммерческого релиза. Мы с нетерпением ждем возможности поработать с Ирой в предстоящие месяцы, а также ее приезда в Стокгольм для участия в самом конкурсе"
Генеральный директор телекомпании PBS Мальта Антон Аттард добавляет: "Ира - одна из наиболее известных артистов Мальты, и сотрудничество с таким крупным лейблом, как Warner Швеция над нашей песней открывает нам двери на международный рынок. Они выбрали нашу песню, и она будет единственной изданной этой компанией из числа участников этого года, и мы гордимся этим достижением". Премьера "Walk on Water" прошла 17го марта, и с этого момента видео на нее собрало на Youtube 850 тысяч просмотров. На этой неделе Ира примет участие в промо-вечеринках в Риге и Москве, а после этого отправится в Ереван вместе с представительницей этой страны Иветой Мукучян. Вместе с Ирой Лоско на сцене Евровидения в Стокгольме выступит французский танцор Skorpion, который уже принял участие в съемках видеоклипа на ее песню Walk on Water. Об этом было объявлено сегодня на официальной странице Евровидение Мальта в Facebook. Французский танцор имеет определенную международную известность, выступал с такими исполнителями, как Кайли Миноуг, Мадонна и Тэйлор Свифт. В 2009 году он был одним из финалистов шоу France Got Talent. В настоящее время телевидение Мальты вместе с менеджментом Иры Лоско и самой исполнительницей работают над сценическим номером на мальтийскую песню. В своих первых комментариях о новой песне, певица Ира Лоско, которая представит Мальту на конкурсе Евровидение 2016 с песней Walk on Water, заявила о том, что она весьма довольна итоговым продуктом. В интервью вебсайту TRM, Ира рассказала, что процесс потребовал множество упорной работы, что было очень важным. Она описала песню Walk on Water как очень современную и песню, которая будет способна соревноваться на высоком уровне с другим 42 песнями. Ира говорит, что все-таки нужно стоять на земле и избежать шапкозакидательских настроений, поскольку определяющими будут именно три минуты на сцене. Ира также попросила мальтийскую публику поддержать ее и песню, поскольку, по ее словам поддержка наполняет ее сердце храбростью. В интервью Times of Malta Ира Лоско рассказала, что чувствует себя более счастливой с новой конкурсной песней Walk on Water. Лоско заявила, что верит в новую песню, которую она описала, как "более современную". "Эта песня отражает мою личность, и я чувствую себя очень комфортно с ней. И это важно. Я верю в эту песню. Очень важно теперь получить всеобщую поддержку," сказала Лоско. Современная песня с вкраплением drum'n'bass, будет официально выпущена сегодня вечером. Генеральный директор PBS Антон Аттард говорит, что отзывы полученные на новую песню, показывают, что "Walk on Water" "намного более хороша" песня, нежели "Chameleon", с которым Лоско одержала победу на мальтийском отборе. "Она была очевидным победителем дополнительного отбора. Это современная песня, и сегодня конкурс Евровидение идет одним шагом с музыкальной индустрией," говорит Аттард. Он объяснил, что в отличии от других стран, у Мальты нет соседских голосов, как, например, у России. "Но я полагаю, что если у нас будет сильная песня, мы будем способны добиться более высокого результата". Решение отказаться от песни, ставшей победительницей Мальтийского национального отбора Chameleon в пользу пока еще непрезентованной композиции Walk On Water вызвало споры среди поклонников конкурса Евровидение, которые утверждают, что национальный конкурс в этом году был "фиктивным", пишет Таймс оф Мальта. В то время как единственная деталь, публично известная о новой песне - это ее название, многие поклонники конкурса в социальных сетях жалуются на беспрецедентный поворот событий. Недовольные фанаты, которые голосовали за победившую песни говорит, что в свете последнего решения, конкурс, который проводится в январе не было ничем иным, кроме "фикцией", и они проголосовали за песню Chameleopn, поскольку они считали, что она обладает необходимыми качествами, чтобы занять высокое место. Другие раскритиковали решение вещателя, заявляя, что не потратили бы деньги на голосование, если бы они знали, что оно проводится только с целью выбора исполнителя. Некоторые даже требуют от PBS вернуть деньги, уплаченные за участие в телефонном голосовании, заверяя, что никогда более не будут голосовать в будущем. Еще одна проблема, по мнению поклонников конкурса, заключается в том, что они не были в состоянии услышать никакие новые варианты песен, и что процесс отбора был закрытым от общественности. В своем сообщении Facebook, сделанном после объявления в понедельник, менеджер Лоско Ховард Кейт Дебоно, признал существование негативной критики в адрес решения PBS и отметил, что "потребуется время, на то, чтобы изменить склад ума, привыкший к тому, что все делается по одной проторенной колее". "Я рад, что мы взяли на себя эту задачу, что правила позволили нам подобные изменения, которые практикуются и в других странах," написал Дебоно. Исполнительный директор PBS Антон Аттард заявил: "PBS принял процедуру, которая соответствует местными и международным правилам фестиваля. Процесс был очень интенсивным, с участием местных и зарубежных жюри и музыкальных профессионалов. Местные исполнители также знали о возможности подобного процесса, поскольку он является неотъемлемой частью регламента фестиваля последних нескольких лет". Премьера новой песни Иры Лоско, которая по слухам называется Walk On Water, пройдет 17го марта. В настоящее время проходит съемка видеоклипа на нее, а на днях прошла съемка посткарда исполнительницы. Ира Лоско, ее менеджмент и телевидение Мальты продолжают активный поиск наиболее подходящей песни для конкурса Евровидение, которая должна быть заявлена через три недели. В последние дни Ира работала день и ночь, чтобы записать несколько новых песен, а также и новую версию песни "Chameleon". С завтрашнего дня десять потенциальных песен (восемь совершенно новых и две новые версии Chameleon) будет оценивать международное жюри из десяти стран вместе с различными местными экспертами. Аналогичный процесс используется и в ряде других участвующих в Евровидении стран. Представитель телеканала PBS заявил о том, что итоги отбора будут озвучены после того, как окончательный выбор будет сделан. Данный метод был выбран для того, чтобы обеспечить Мальте наилучший возможный результат на конкурсе. На прошло неделе исполнительный супервайзер Евровидения Йон Ола Санд, во время своего визита на Мальту, подтвердил, что TVM имеет право как угодно изменять или даже полностью заменить песню, которую Ира Лоско исполнит в итоге на конкурсе Евровидение 2016. Мальтийский общественный вещатель Public Broadcasting Services Limited выбирал артиста, который представит Мальту на Евровидении 2016 посредством национального отбора Malta Eurovision Song Contest 2016, который прошел 22 и 23 января 2016 года в Mediterranean Conference Center. Билеты на шоу можно было приобрести здесь. Все солисты конкурса должны быть гражданами Мальты или обладать двойным гражданством, одним из которых будет Мальтийское. Авторы и композиторы могут быть любой национальности. Победитель национального отбора прошлого года (Амбер) не имеет права участия в конкурсе этого года. Заявки принимались 29го и 30го октября. Помимо оригинальной песни, артисты должны были подать также и запись еще одной песни, которая могла быть кавер-версией, или их старой, уже опубликованной песней. Всего было получено 153 заявки для участия в фестивале, что на 19 больше, чем в прошлом году. Короткий список из 49 заявок был объявлен 3го декабря. Двадцать песен, выбранных для телевизионного отбора, были представлены 11 декабря в программе Xarabank (начало в 22.50 Москвы, онлайн). Одноминутные отрывки песен вы можете увидеть здесь. Полные версии песен были представлены 24го декабря и услышать их можно здесь. Из 20 участвующих песен шесть были написаны Мушу и четыре Элтоном Зарбом - командой авторов песни Мальты на Евровидении 2015 и Детском Евровидении 2013-2015. Джерард Джеймс Борг и Филипп Велла (авторы песен Мальты на Евровидении 2000, 2002, 2004, 2007, 2008) стали авторами только одной и двух заявок соответственно. Восемь песен были написаны иностранными авторами, из них три в соаввторстве с Йонасом Гладникофф (Ирландия 2009, 2010, 2014, Детское Евровидение 2015) и две сестрами Перссон. С прошлого года правила национального отбора предусматривают, что команда победителя в итоге перед Евровидением может изменить частично свою победившую композицию, и даже подобрать совершенно новый трек. Во время полуфинала артистам позволялось петь две различные песни. Порядок выступлений полуфинала стал известен 13 января. В рамках национального отбора артисты должны были выступать вживую в сопровождении бэк-вокалистов. Технические репетиции прошли 18-19 января. Каждый исполнитель провел в зале по полтора часа, готовясь к выступлению, тестируя ушные мониторы, свет, звук и графику своего номера. После этого, артисты просматривали свои выступления в просмотровой комнате, и предлагали изменения и улучшения в работу режиссера и операторов. В это же время, исполнители также подбирали короткий отрывок своей песни для рекапа, который был показан во время проведения телефонного голосования. Репетиции продолжились 20го января на протяжении всего дня. Смотрите видео Люка Борга (TVM) с репетиций: часть 1, часть 2, часть 3, часть 4. Репетиции номеров открытия и интервала прошли утром в четверг. В 18:00 прошла полная генеральная репетиция шоу. Еще один прогон был назначен на пятницу, 10:00 утра, а само шоу вышло в эфир в 20:40 местного времени. Амбер, победительница Malta Eurovision 2015 года открыла шоу в пятницу со своей песней Warrior. Местная поп-рок-инди группа The Crowns, а также дуэт сестер Беттины и Филиппы из The New Victorians вместе со своей группой выступили в пятницу в качестве интервал-акта. Четырнадцать песен вышли в финал, где артистам дозволено было исполнять только по одной песне. Результат национального отбора был определен голосованием жюри из шести человек, и голосованием телезрителей, которое было приравнено к седьмому члену жюри. Победители были объявлены в конце эфира в случайном порядке. Порядок выступлений в финале был опубликован позже ночью. Финальный прогон прошел 23го января в 10:00 утра, а прямой эфир шоу стартовал в 20:45. Можно было следить за прямым эфиром на телеканале TVM и онлайн. Актер и фотомодель Ben Camille, известный своей игрой в телесериале "Strada" стал ведущим фестиваля Malta Song for Europe 2016. Королева соул музыки Мальты и победительница Детского Евровидения 2015 Дестини Чукуньере открыла фестиваль в субботу. Во время интервала она также исполнила несколько кавер-хитов. Амбер вместе с танцевальной группой Southville Dancers вновь вернулась на сцену, чтобы продемонстрировать слушателям свои новейшие поп-джазовые композиции из предстоящего дебютного альбома. Специальный приз также был вручен победителю онлайн голосования, в то время, как пользователи, принимающие участие в нем, могли выиграть купон на 1000 евро от компании Hamilton Travel. Афте-пати после финала прошло в Aria Complex в San Gwann. Следите за репортажами ESCKAZ на наших каналах Youtube, Picasa и Instagram.